This is the first course in a two-course sequence designed to give students a foundation in awareness, knowledge, understanding, and skills needed to effectively facilitate multicultural group interactions including structured intergroup dialogues. The topics of this course include social identity group development; prejudice and stereotyping and their effects on groups; difference and dominance and the nature of social oppression; culture, cultural cues, and judgments; basic group facilitation skills and their applications in a multicultural setting. ALA 320 is cross-listed with Sociology 320 and Psychology 310. Students interested in Processes of Intergroup Dialogue Facilitation should read through the information below and complete an online Training application. Designed to provide the foundational skills and knowledge necessary to facilitate multicultural group interactions, The Program on Intergroup Relations’ facilitator training course (ALA 320) develops basic group facilitation skills through theoretical and experiential learning on topics such as group dynamics, conflict intervention, intergroup communication, and community building. Students will engage in discussions, activities, and readings focused on prejudice, stereotyping, privilege, oppression, social identity, group development. Intergroup dialogue facilitators are trained undergraduate students who lead a group of peers through a semester of intergroup dialogue. Facilitators are trained in dialogic communication, group building, conflict surfacing and de-escalation, and social justice education. They work in pairs to facilitate dialogue, not simply as teachers, but also as learners with dialogue participants. The semester following completion of the course, students enroll in Psych 311/Soc 321/ALA 321: Practicum in Intergroup Dialogue Facilitation, in which they serve as peer facilitators for IGR’s Intergroup Dialogue Course Sociology 122/Psychology 122/ALA 122. 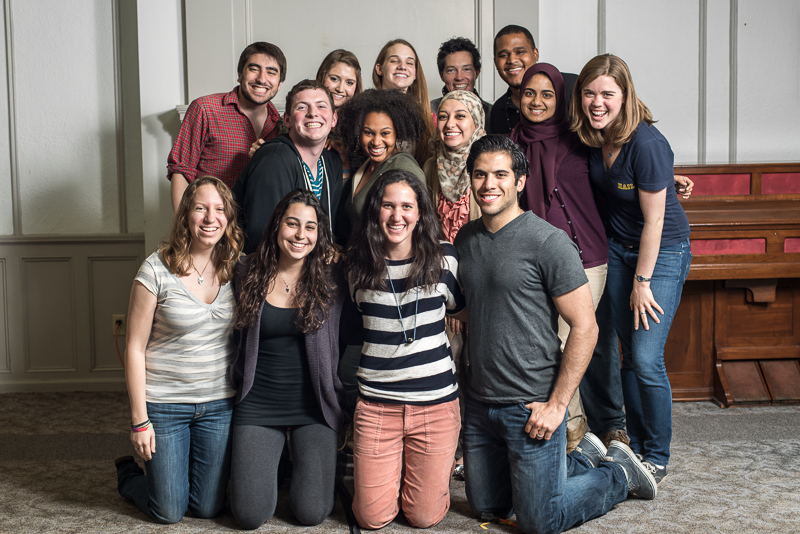 Recent trainees have facilitated intergroup dialogues with topics such as Race and Ethnicity, Gender, Socio-economic Class, International and U.S., Religion, Sexual Orientation, Arab/Jewish, Ableism, and White Racial Identity. Students receive 3 credits for the training course and 4 credits the following semester for the practicum course in which they lead a dialogue. Students can earn additional credit by facilitating a dialogue for a second term. Students can choose whether they would like to receive Psychology, Sociology, or Applied Liberal Arts credit. This course can count toward the LSA Race and Ethnicity distribution requirement. There are no required perquisites to the course, but IGR strongly recommends students to take an intergroup dialogue course prior to applying to the training class, or to have some experience with social justice education theory and practice. Is becoming a facilitator right for me? The facilitator position requires an individual who exhibits responsibility, commitment to the pursuit of social justice, and the desire to teach, learn, and grow with others. You will have the opportunity to expand your own self-awareness, and potentially influence the identity development and multicultural understanding of other students. Through the training course and facilitator position, you will develop valuable life skills not only in facilitation, but in intergroup communication, group dynamics, and teamwork. If you are looking for ways to make a positive difference at the University of Michigan, then this may be the very opportunity for you. The position is a great leadership opportunity for future professionals, educators, and activists. Facilitation and dialogue skills can be applied in any meeting or group setting, one-on-one conversations, and even structural and institutional analysis. The experience is eye-opening at the very least and often transformative. Training and Practicum have allowed me to connect with some truly amazing people. Out of all of the spaces on campus, they are the places where I've felt the most support from my peers - our love for each other and our caring about each other are tangible. If you are interested in applying for Processes of Intergroup Dialogue Facilitation (ALA/SOC 320, PSYCH 310), please complete the online Training application. After submitting your application, you will be scheduled for a group interview with other training applicants, facilitated by IGR staff. Please allow 3 business days for our office to process your application. NOTE: Please compose and save your responses to the short answer questions in a Word document and copy/paste them into the application boxes. After submitting your application, you will receive an automated e-mail with your responses. Please direct any questions about the course or the application process to igrcourses@umich.edu or phone: 734.936.1875.